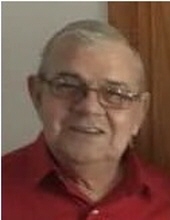 Mr. James Lloyd Barker, age 74, of Olive Hill, Kentucky, passed away Friday morning, March 22, 2019, at his residence. He was born November 11, 1944, in Elliott County, Kentucky, a son of the late Charlie and Della Wagoner Barker. James was of the Baptist faith and enjoyed hunting, riding horses and spending time with his family. In addition to his parents, he was preceded in death by five brothers, Lowell Barker, Beecher Barker, George Barker, Henry Barker and Talmadge Barker. James is survived by one son, James Allen Barker (Rebecca) of Olive Hill, Kentucky; one daughter, Kimberly Barker of Mansfield, Ohio; one granddaughter, Courtney Stephens (Kyle); one great grandson, Spencer Stephens and one on the way, Riley J. Stephens; two brothers, Leo Barker of Niles, Ohio and Tommy Barker of Mansfield, Ohio; and one sister, Ella Mae Porter (Clifford) of Elliottville, Kentucky. He also leaves many other family members and friends who will sadly miss him. Funeral services will be held at 11 a.m. Tuesday, March 26, 2019, at Globe Funeral Chapel in Olive Hill, Kentucky, with Brother Elijah Wagoner and Brother Justin Wagoner officiating. Burial will follow in the Barker Cemetery on KY 504 in Elliott County, Kentucky. Friends may visit from 6 p.m. to 8 p.m. Monday, March 25, 2019, and after 9 a.m. on Tuesday at Globe Funeral Chapel, 17277 West Highway US 60, Olive Hill, Kentucky 41164. Charles Ray Barker, Jeff Porter, Doug Barker, John Porter, Kirby Barker and James A. Barker will serve as pallbearers. "Email Address" would like to share the life celebration of James Lloyd Barker. Click on the "link" to go to share a favorite memory or leave a condolence message for the family.